It’s MAC Monday, folks! 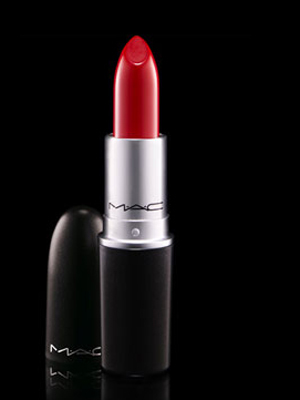 For my MAC Monday posts, I like to highlight a go-to MAC product that I feel every woman must have in her arsenal. Today’s pick is Ruby Woo lipstick. 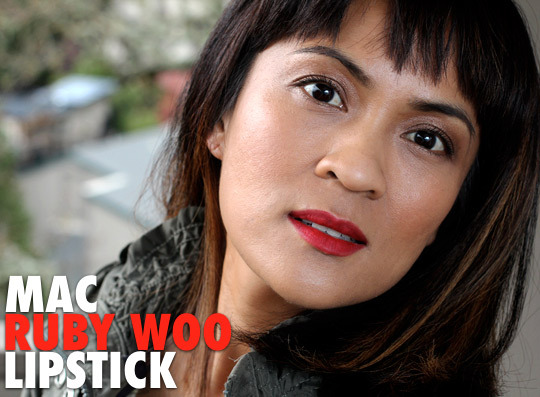 Ruby Woo is not your average red lippy. It is the perfect shade of cherry-red. It’s not too orange and not too dark. It’s also a retro-matte formula, which means it’s super long wearing and stays true to the color your see in the tube. I refuse to wear red lipsticks that aren’t matte, because as most of us have experienced, red lipstick smears everywhere. The retro-matte formula of Ruby Woo is one of the only reds that I trust enough to put on my clients and of course for myself. And for just $15, it’s a steal. Here’s a shot of me rocking my fave back in the fall of 2012. Dita Von Teese, a MAC spokesmodel and burlesque super star is a huge fan of Ruby Woo. It pops beautifully on her pale skin. Kim Kardashian is wearing Ruby Woo in this photo on its own. It looks so rich with her skin tone! 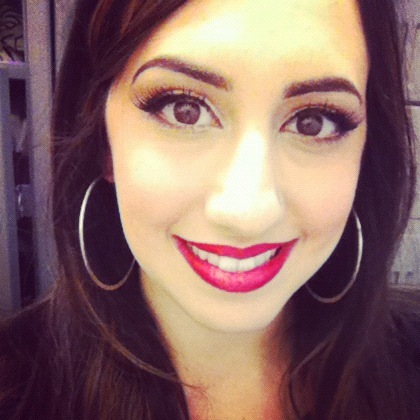 Here is long-time Ruby Woo supporter Karen of Makeupandbeautyblog.com. I’m tellin’ ya this lipstick looks good on everyone! Here’s the lovely Kelly Rowland rocking Ruby Woo on a red carpet. The blue-red undertones are gorgeous with her skin.